Confused about how to start an online business? If you've been struggling in your life and you want to create a new source of income that allows you to work from anywhere, this course is for you. FACT: It is now easier than ever to start an Internet-based business that even people with no computer skills can create a store and start selling online in minutes. You just need all of the steps laid out for you. Top sites including Gumroad, Shopify and Bigcommerce give you access to a wide range of tools to make it easy. There are ways to set yourself up in business that will give you a much greater chance of starting and growing a solid business. 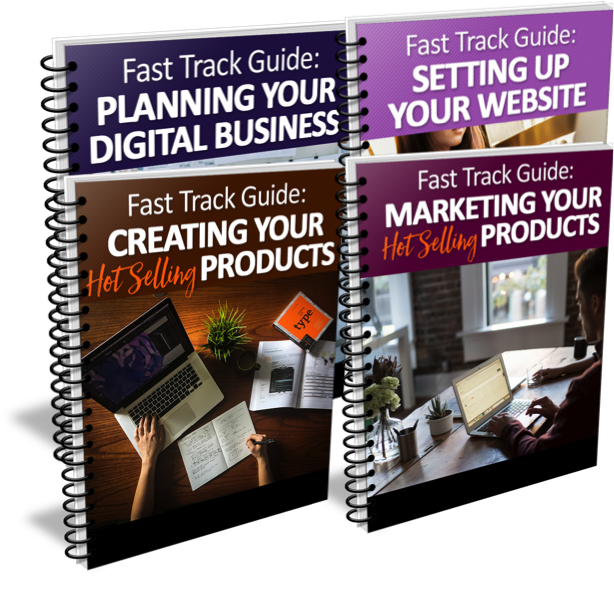 In this ecourse, you will learn how to get your digital business up and running for success. INSTANTLY Claim Your Copy of "Start Your Digital Business in 4 Weeks"
Simply enroll in this course below to instantly receive your tips right away. Welcome! Join my private mastermind group! Your privacy is protected and your email address will only be used by Life Makeover Academy to communicate with you about related subjects. You can cancel your subscription at anytime. If you are ready to get your digital marketing business started, get signed up right now. You've got nothing to lose - and everything to gain!